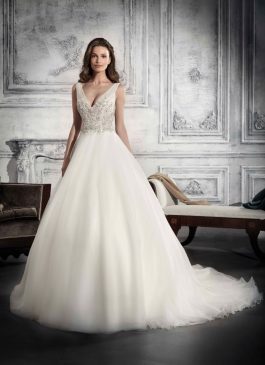 The Sposa Group offers a stunning selection of A line wedding dresses that represent an epitome of sophistication that can never go out of style. 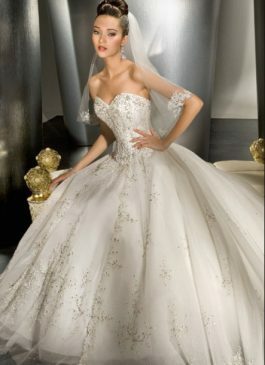 With the perfect fusion of modern and traditional elements, A line wedding dresses are perfect for all body types. 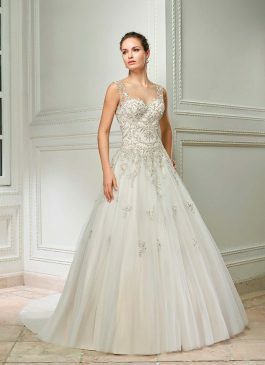 They are created to accentuate the waistline and flow down naturally to create a distinct style statement. 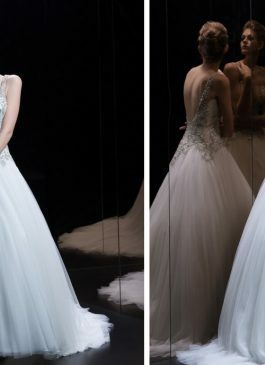 The semi-voluminous gowns are crafted to add an element of glamour and classic style. 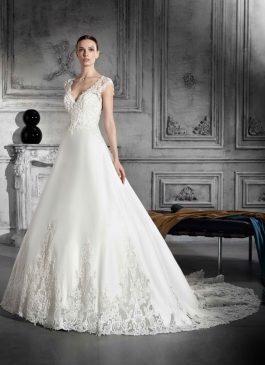 The Sposa Group is home to an impressive assortment of bridal wear in a range of styles. 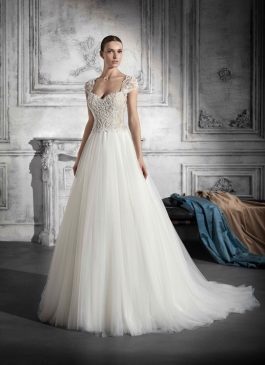 We have a splendid selection of A line wedding dresses in different fabrics like (tulle – we don’t use silk/ silk is a fibre not a fabric), satin, chiffon, lace and more. 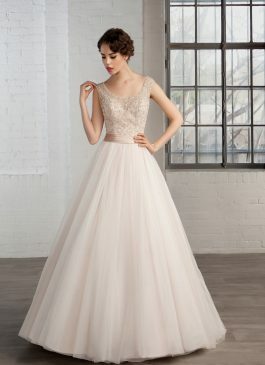 Whether you require an A-line wedding dress with a minimalistic look or a luxurious A-line wedding dress with lace, we have an amazing range to choose from. 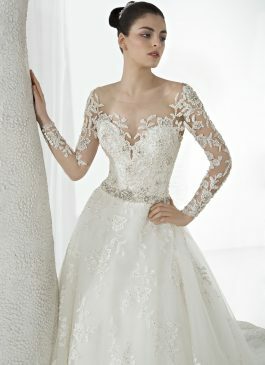 With the layered laces and innovative styling, our wedding gowns provide the perfect chic and classy look. 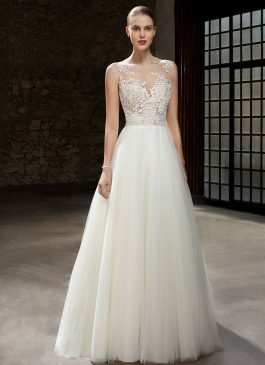 Our collection also features A-line wedding dresses with a modern twist to vintage design elements. 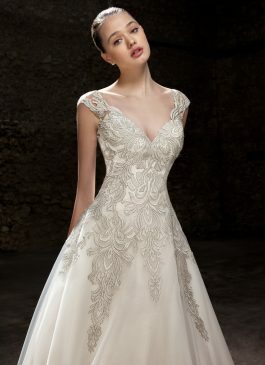 A-line wedding dresses are ideal for both plus size and smaller frames. 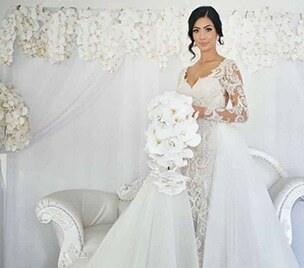 With our emphasis on intricate details and cuts tailored to perfectly accentuate your body frame, our wedding dresses are crafted to impress. 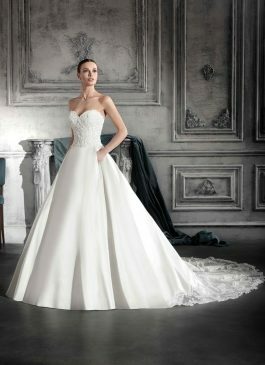 With the exceptional fit and a diverse range of sleeve options, you can choose A-line wedding dresses in different styles. 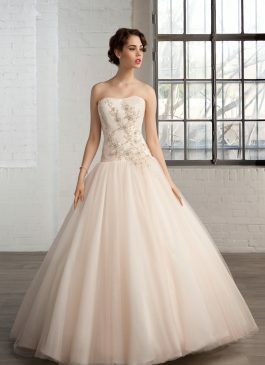 Whether you require a strapless gown or a gown with a train, we have you covered. 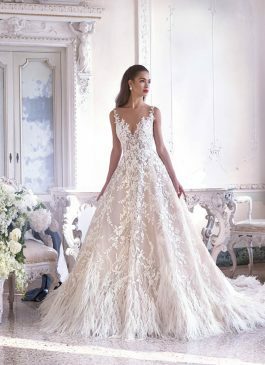 Our A-line wedding dresses with lace offer a glamorous look and reflect your unique style. Our Sydney boutique features some of the world’s leading luxury brands. 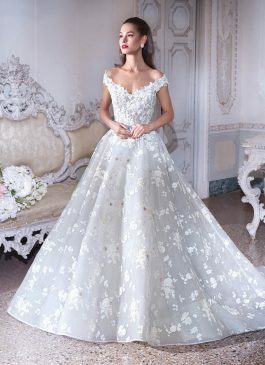 If you wish to know more about our designer dresses, enquire to our welcoming team of girls at (02) 9560 0095 Or email us at info@thesposagroup.com.au.